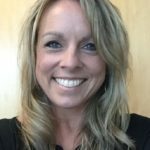 My name is Cathy McRae and am an adult therapist at Center for Hope and Strength. I have been doing therapy here since February of 2018. I am fortunate to be working in a field that I am committed to and passionate about. I believe that supporting and encouraging people to be the best version of themselves not only provides them with hope and strength, it also provides a better place for everyone to thrive. I have worked in therapeutic settings that include: addiction; crisis management; at risk youth; severe mental health; as well as doing therapy with families and couples. Prior to therapy, I was a teacher in early childhood and a college basketball coach. My work history and my personal life are a testimony to myself and those around me that being able to be of support, assistance, and encouragement feeds my soul and gives my life meaning and purpose.